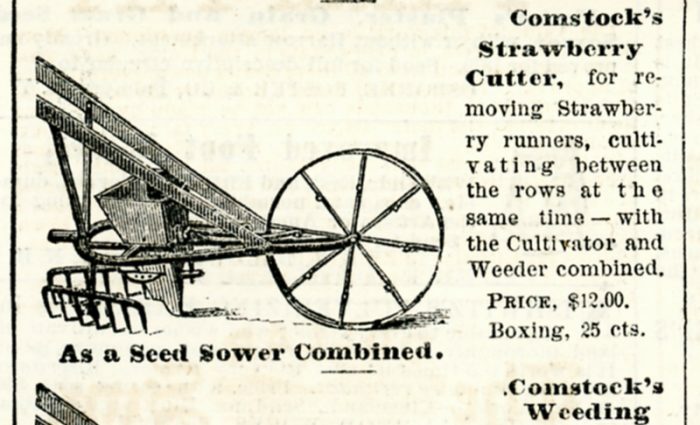 There were a number of agricultural magazines and journals during the 19th century. The magazines printed advertisements for companies that manufactured and sold agricultural implements. These publications offered farmers a chance to see new technological advances, learn scientific farming techniques, and stay connected to a larger group of like minded people. The American Agriculturalist for the Farm, Garden and Household, 1870, v. 29,illus. p. 118, Orange Judd & Co., New York. The Farmers’ Museum Library, Cooperstown, New York, 630.5 A512, F51.1954.